Our first-ever Talent Night and Art Auction is coming up on Saturday, March 9, from 6:00 – 10:30 pm at The Parkway Theater! Don’t miss this incredible evening of entertainment led by Emcee Extraordinaire Jason Burnstein, including dancing, singing, drumming, and so much more. The night will feature incredible performances from many of our beloved faculty members—Mr. Lawton’s stand-up routine is sure to bring down the house!—along with parents (both current and alum) and alumni. Prepare to be WOWED! The Parkway’s full “craft cocktail” bar will be stocked and we’ll have a Food Truck out front offering yummy appetizers and desserts. Attendees will also have the opportunity to win four front-row tickets to the 2020 Circus during our event-wide game of Rock, Paper, Scissors! Tickets are $20. This is an event you DON’T want to miss. Purchase your tickets today! Art Auction Now Open for Bidding! Our Art Auction is currently on display in the lobby of the Whittier campus through Monday, March 11. Make sure to come inside the school to browse the work of parents, faculty/staff, and friends of the school. On the night of the event, all artwork will be featured on the Big Screen at The Parkway Theater from 6:00 – 7:00 pm. Online bidding is now open and will close on Monday, March 11, at 8:00 pm. Click below to browse one-of-a-kind works including paintings, sculpture, photography, and more, generously donated by our talented and creative community! This event is designed to gather our community together to celebrate (it’s a party!) and also to raise needed funds for our school (it’s a fundraiser, too). Can’t attend but still want to support the event? Sponsor a faculty/staff member! Your generous contributions help us to cover the cost of providing one complimentary ticket to each member of our faculty and staff. Simply click “Order Tickets” and select the Sponsor a Faculty/Staff Member Ticket. Place a bid in our online Art Auction, closing March 11. Contribute to our annual Fund-an-Items. Our teachers will present their Fund-an-Item wish list at the event on March 9, and all who wish to support our Fund-an-Items may do so online (stay tuned for details). 9:30 – 10:00 pm | Grab another drink/snack and congratulate our artists and performers! 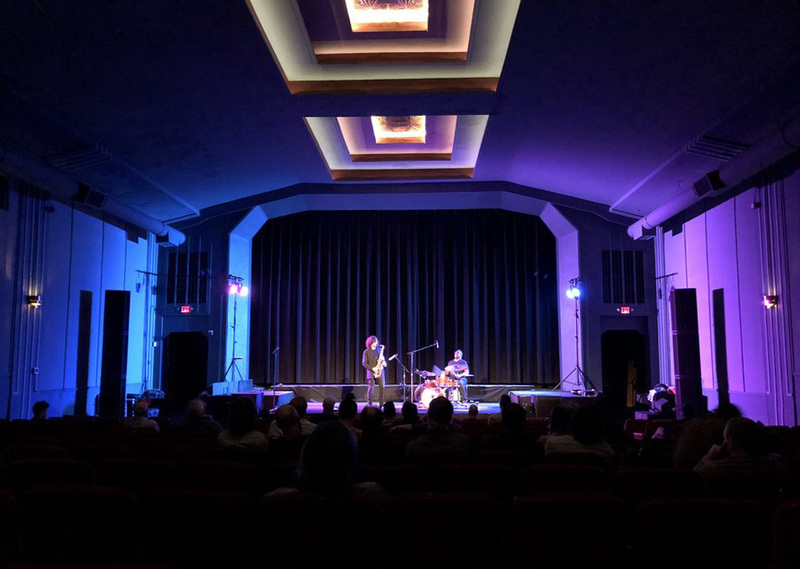 Built in 1931 and renovated in 2018 by CLWS parents Ward and Maggie Johnson, the historic Parkway Theater is a regional gem featuring classic 35mm films, world-class performing arts, and other live events. We are thrilled to be working in partnership for this event!